AnonD-15935, 01 Aug 2011Can you please let me know how could I possibly turn-off the screen-saver in your unit? I don'... moreHaha try to search on google. Can you please let me know how could I possibly turn-off the screen-saver in your unit? I don't remember turning it on, and now I don't know how to turn it off - it eats too much battery power, it's really annoying! If you don't know what I am talking about, do you have a service center in the Philippines? Possibly within the Makati, Manila or Global City area? Guys I'm getting one in 2 days, and I can't freaking wait!!! Iv done some research, and it has every thing a phone and laptop has... Just better! Its faster, smaller, and practical! Now why get anything else. The motarola boom, ipad, are also good. But the sam give u it all aswell, and its cheaper. Now y not? Haha..
Val, 29 Jul 2011Pls can dis phone run java,can opera 4.2 work freeObviously you are saying about galaxy tab. It can run Opera 10 and 11 brilliantly. Thanks for ur previous post, it's very helpful for me. Can u help me 1more thing? In cambodia Can update from 2.2 to 2.3(ginger) already or not yet? 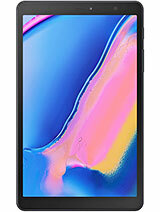 Im thinking to buy this tablet.. but, before that i just wanna know the battery backup of this phone.. so, users who r using this tablet please tell me the exact battery backup of this one.. Your answer is very important to me please..
2. it hangs very frequently . 3. camera is not at all good. 4. very heavy to operate. 6. we have to alws apply Bluetooth for talk . 7. we cannot play games more than 20 min. it hangs till death i mean you have to take out battery and thn place it again. 8. messages are sent to different people by contact eror. some eror no idea. but yes messages are sent to wrong people. Hi... galaxy tab P1000 does not have ringtones? gsmarena shows ringtones N/A...? can anybody help please? i want to buy this tablet? "I need the honestly word!!!!!! 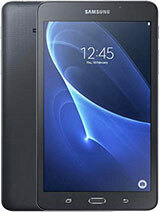 Any one can help me and tell me the honestly about samsung P1000 galaxy tab. Is it better or not? Does it has update for 2.3 ginger in vietnam? I have plan to buy one at the end of this month. Thanks in advance..."
"can sim be inserted in it..........?"